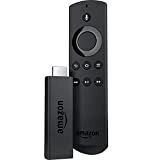 The Fire TV Stick with Alexa Voice Remote was one of Amazon’s best-selling products this past Prime Day, but that obviously goes without saying. Why? Because the Fire TV Stick is one of Amazon’s best-selling devices during any sale. This awesome media streaming dongle is a killer value at its normal price of $40, so anytime it goes on sale it’s irresistible. Now a new Amazon sale has dropped it back down to just $29.99, matching its lowest price since Prime Day 2018!